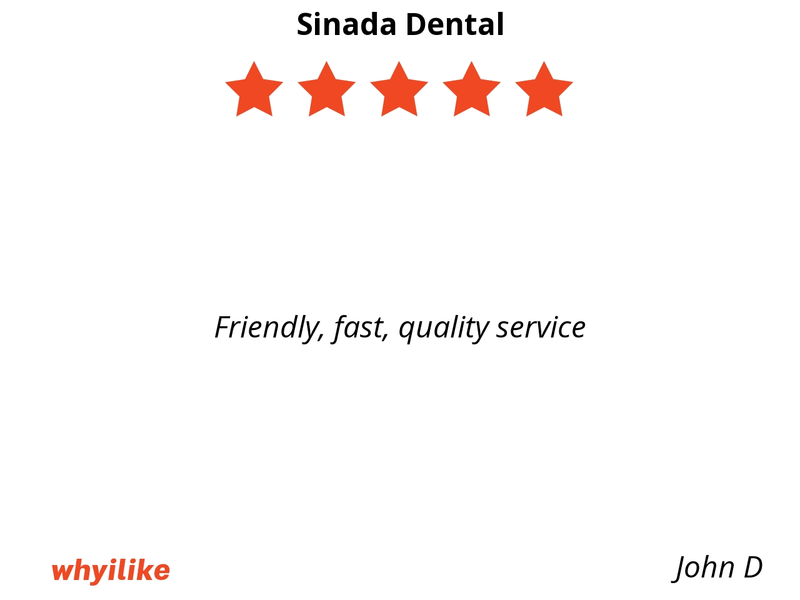 Sinada Dental has the best dentists I have seen. 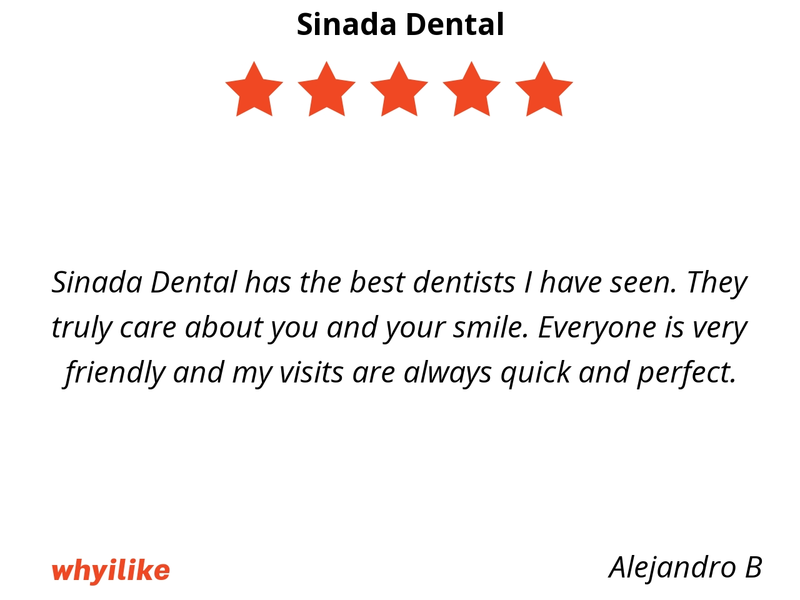 They truly care about you and your smile. 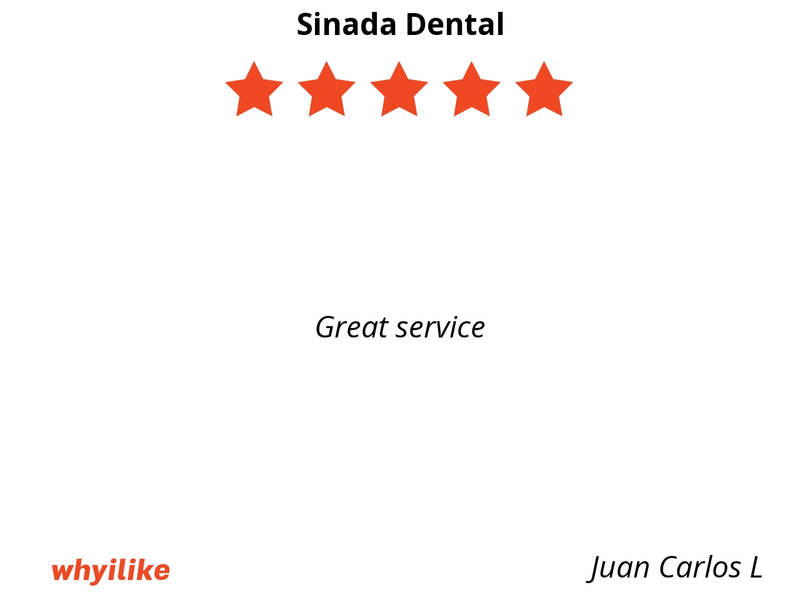 Everyone is very friendly and my visits are always quick and perfect. 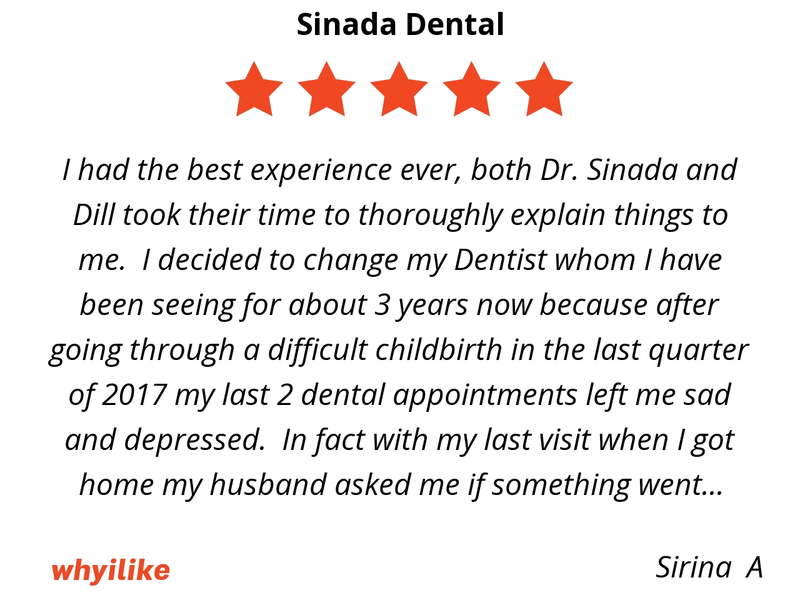 My experience at Sinada Dental was great. I went in and I was seen pretty quickly. 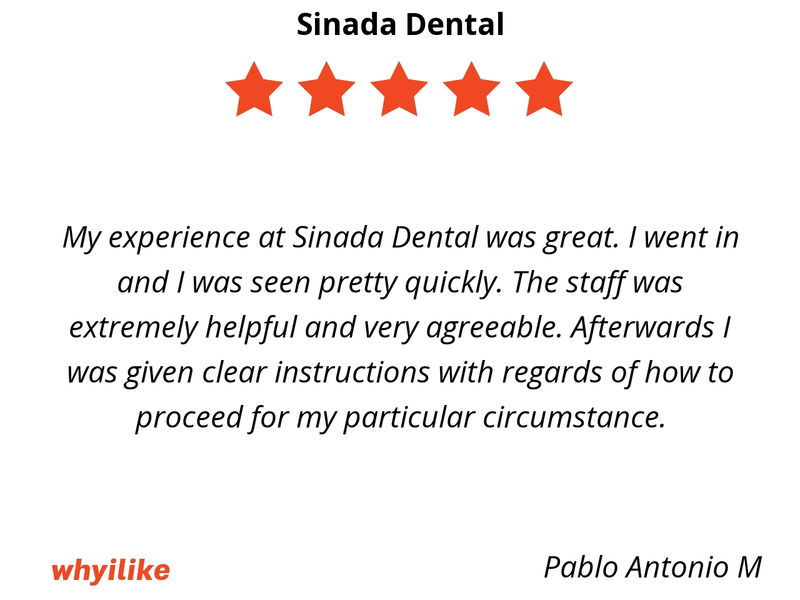 The staff was extremely helpful and very agreeable. Afterwards I was given clear instructions with regards of how to proceed for my particular circumstance. Everyone was very nice! 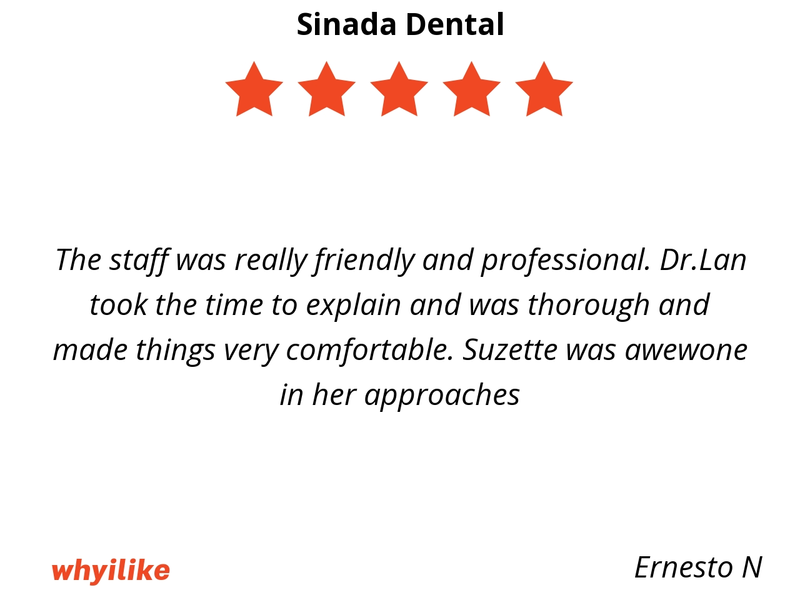 The dental assistant was very gentle. 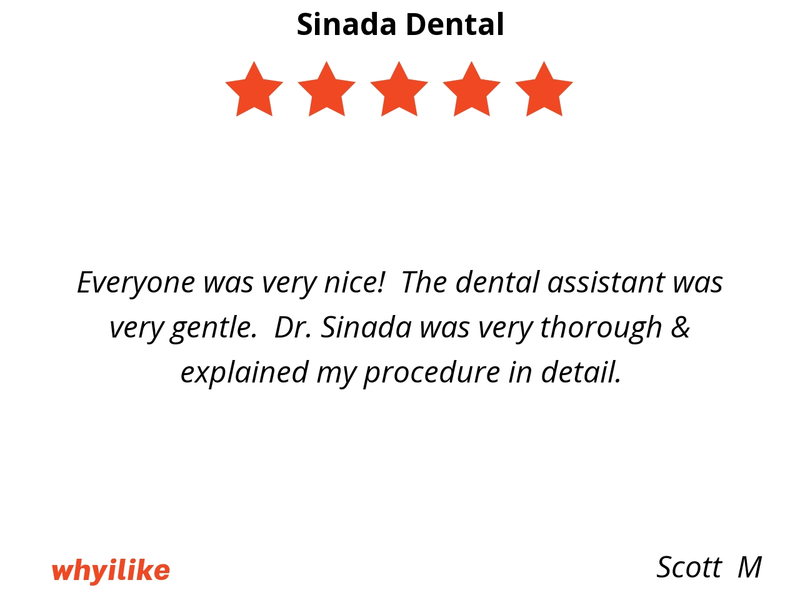 Dr. Sinada was very thorough & explained my procedure in detail. 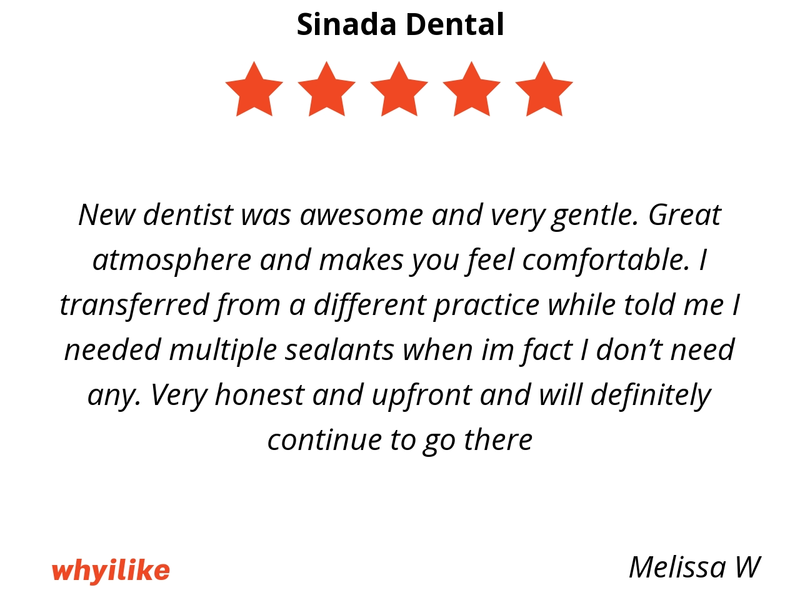 I’m usually very nervous going to dental appointments. When I walked in, I was greeted by the receptionist with a big smile. 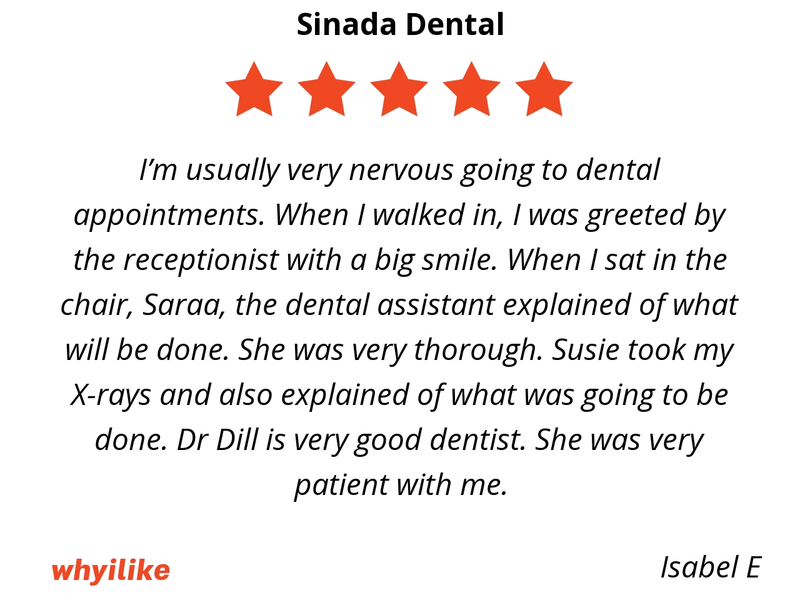 When I sat in the chair, Saraa, the dental assistant explained of what will be done. She was very thorough. Susie took my X-rays and also explained of what was going to be done. 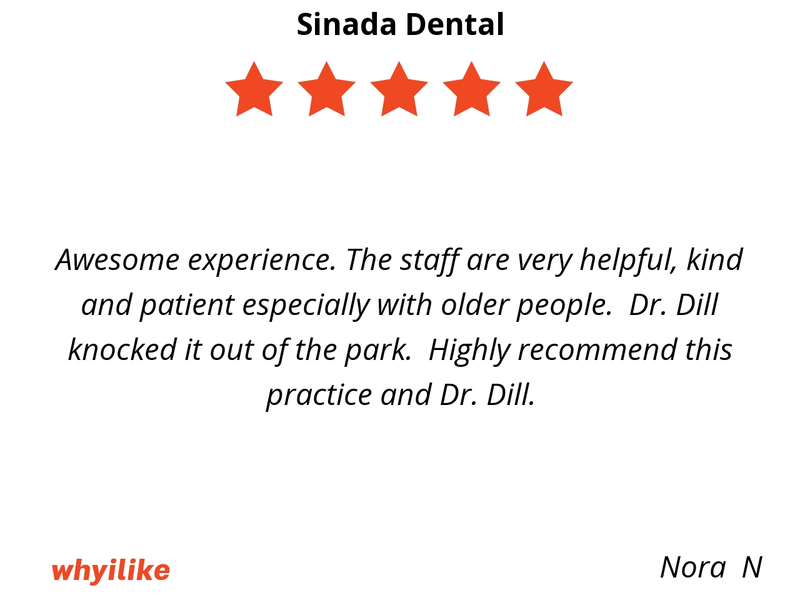 Dr Dill is very good dentist. She was very patient with me. They were quick and thoroughly explained everything. The great and friendly customer service. They have a super clean and sleek office. Friendly Staff. 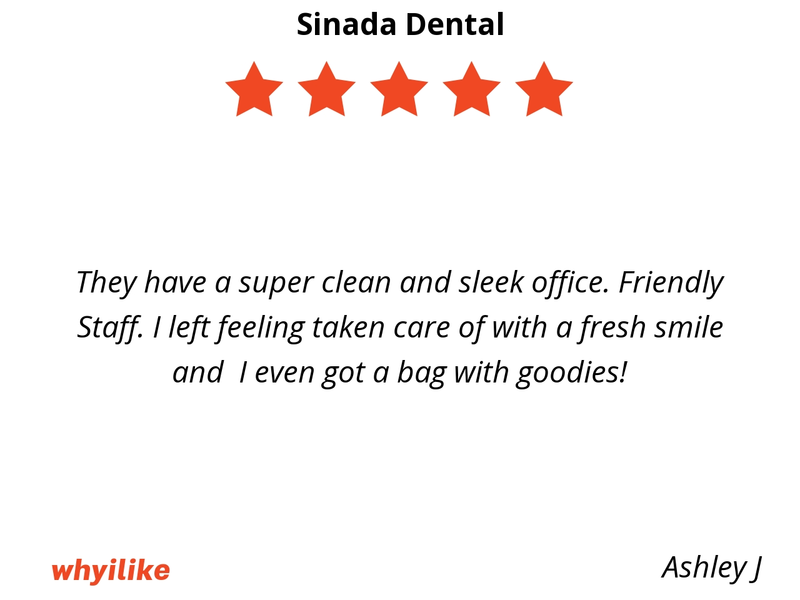 I left feeling taken care of with a fresh smile and I even got a bag with goodies! This was great! 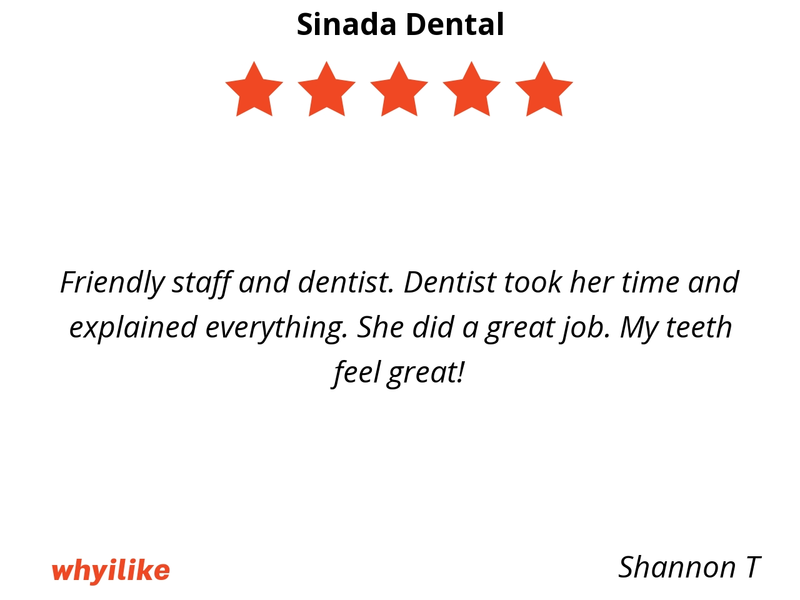 I am not dreading the next time I have to go into the dentist anymore! 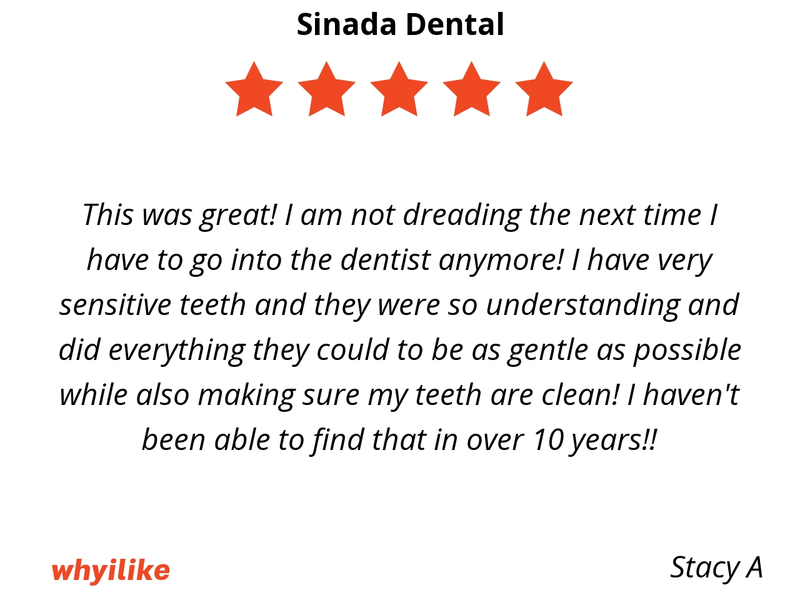 I have very sensitive teeth and they were so understanding and did everything they could to be as gentle as possible while also making sure my teeth are clean! I haven't been able to find that in over 10 years!! 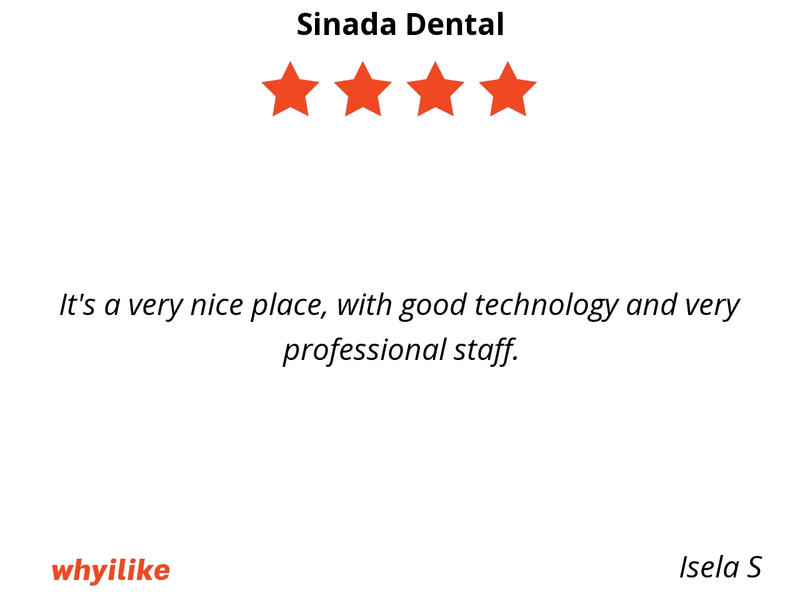 It's a very nice place, with good technology and very professional staff. Awesome experience. 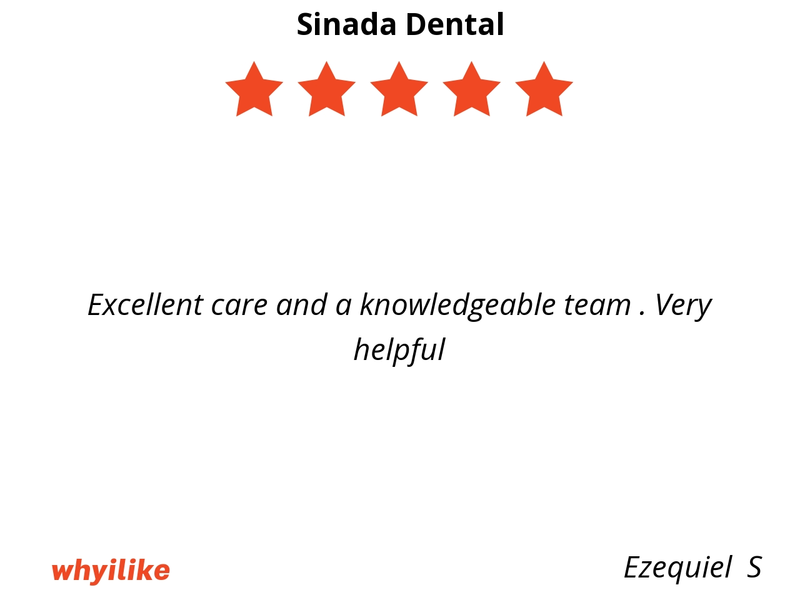 The staff are very helpful, kind and patient especially with older people. Dr. Dill knocked it out of the park. Highly recommend this practice and Dr. Dill. 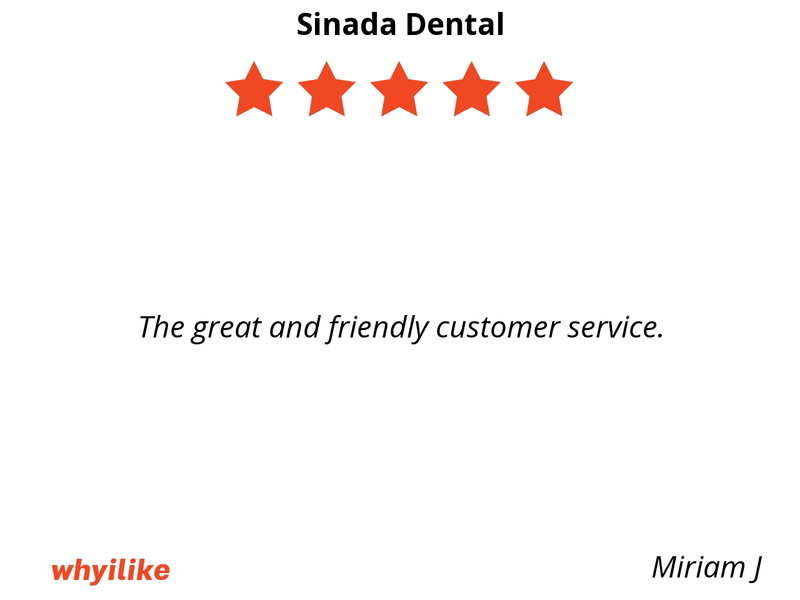 Friendly staff and dentist. 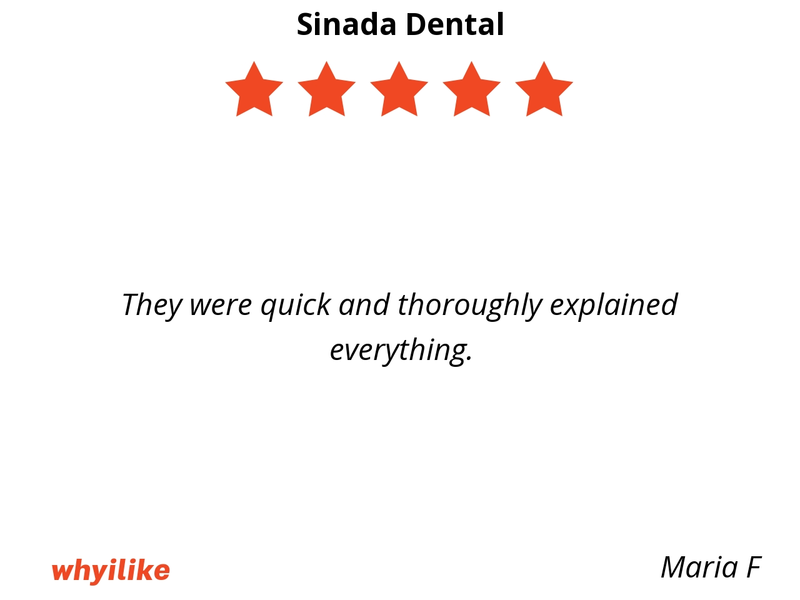 Dentist took her time and explained everything. She did a great job. My teeth feel great!